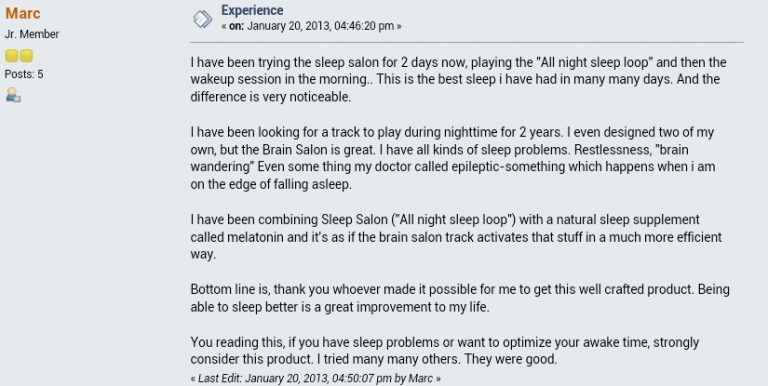 There are two sleep salon programs on the web as of the time of this review. The first one is a sleep inducing program from inspire3 which uses brainwave to help you fall asleep, and Nap sleep salon pantip from Bangkok, Thailand which is a spa that encourages you to sleep as you get you hair washed and styled up. It is more like Sleep Styler. I will address the brainwave entrainment program that induces sleep. 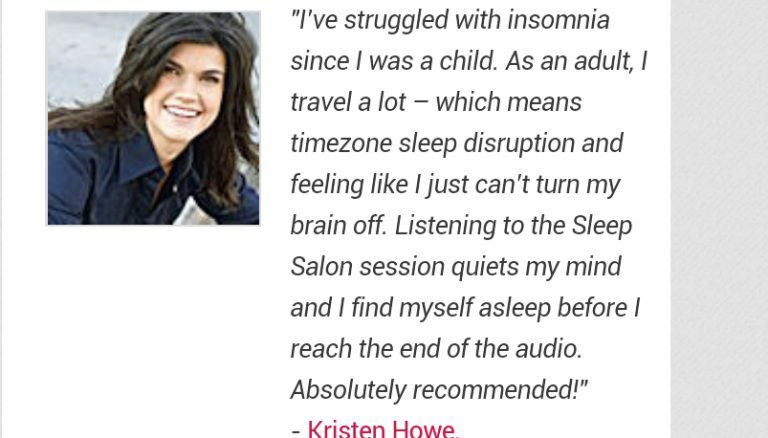 This short sleep salon review will help you know the program more and learn how you can get over chronic insomnia, slow wave disorder, chronic pain and healing, caffeine addiction, irregular sleeping patterns, sleeplessness from stress and anxiety, and temporary sleeplessness using brainwave technology, the benefits of the system as well as the things you should be wary of, about it. If you got any questions about this system, feel free to ask them in the comments below, and I’ll reply to them soon as they hit the other side. Okay? Fantastic! Let’s jump right in. Sleep Salon, Super Awesome Stuff! This is a program that is designed to help you sleep and also get over the sleeping problems that you may have been having over the past few days or week. It will help you relax, and fall asleep by simply playing an audio track on speakers while you lay on your your bed with your eyes closed. It uses the brainwave technology, which basically uses brainwave entrainment technique to get you to sleep. Brainwave entrainment is simply a method of getting your brain to be in different states like sleeping, being completely relaxed, focused and super attentive, happy and cheerful among other states within minutes by moving your brain waves in different patterns. There are waves in your brain with different wave patterns in each state of the mind listed above. The brain is studied while in those states and the patterns are caught using EEG machines and then transferred to audio files. These audios are not the ordinary mp3 audio files you listen to. They are mixed with different wave frequencies like theta waves, delta waves and alpha waves that give your brain a special effect and get it into any states by just listening to them. The sleep salon program uses the delta waves which are best known to bring about deep sleep. This simply means, if you listen to these audios, you brain waves will be made to move into a certain pattern that will bring the actual state it is meant for. In this case, your brain gets into relaxed and deep sleep state when you play the audio on your device as you rest in bed and close your eyes. Well, this is extremely easy. There are a number of audio tracks in the system made to help with various types of sleeping problems. So you will only have to choose the one you find fit for you, depending on the cause of your sleeplessness and then just listen through. However, you should make sure you have followed the following steps to get the most off of it. • Reduce disturbance – Turn off your mobile device, use the bathroom and have a glass of water. Make sure there is no disturbance at all. • Make sure you are comfortable – Wear loose clothes, lay on the bed. Ideally, see that you are quite comfy. • Relax – If you have trouble relaxing, take 3 deep breaths while closing your eyes and then imagine yourself in a relaxing place. • Listen to the audio sessions while focusing on your breath. • People who are running serious machinery or driving. • People who are not above the age of 18. • People who have mental issues or have suffered brain injury. • People with epilepsy as they are likely to bring seizures. There are 3 main sections in sleep salon that have different audio sessions to help achieve different special states based on sleeping with relaxation, remaining awake during the day and bring you deep baby’s sleep. Let’s get deeper into each of them. This is what I like about the program. It not only tackles the sleep side of the coin but also the awake side. Most people have fallen asleep while driving and have caused many accidents. So this section is meant to help you remain awake and keep your sleeping patterns well in check. • Wake Up Session (20 minutes) – This session is meant to help you remain awake and energized for the day ahead.You should use headphones and keep your eyes either open or closed. Listen to it in the morning and it will help convert the sleeping hormone, melatonin to the happy hormone, serotonin. • Wake Up Session With Classical Music (15 minutes) – This is similar to the first session except that it’s short and there is cool classical music in the background. It is more powerful and awakening than the first. Listen to it with headphones with eyes closed or open. The section helps you become relaxed as you get ready to sleep and still help you reduce stress and anxiety from work or school, or other reasons that may be getting in your way. • Stress and Anxiety Reduction (25 minutes) – This handles the most common cause of temporary insomnia, that is stress and anxiety. It will help you take away all the anxiety and stress and help you be calm and peaceful. Listen to it with your eyes closed to get into deeper states. You also don’t need headphones here. • Sleep Training (20 minutes) – This track helps train your mind to sleep. It influences the release of melatonin, the sleep hormone and get into the part of the brain that deals with reducing stress and sleeping. Listen to it in the evenings. You can also use it for studying or working to get into a relaxed and focused state. This is the meat of the whole program. The sessions here are meant to take you from wakefulness down to plenty of rest and ultimately to deep sleep. They also have other benefits like reducing pain, increase flow of blood and reducing stress. • Sleep Induction With Night Sounds (50 minutes) – This is the most preferred session by most of its users. It brings the nightly atmosphere with sounds of crickets and others, which help you drift into sleep quite easily. Listen at moderate volume with eyes closed and without headphones. Don’t play the session on repeat. It will disrupt the movement of wave frequencies and make you not to sleep. • Sleep Induction With Classical Music (50 minutes) – This is really soothing and most often, you won’t get to the end. It starts off high with Tchaikovsky’s Swan Lake, down to Sweet Dreams and then some sleepy background noise. Listen to it without headphones and with your eyes closed. Don’t repeat this too. • Dissociative Sleep Induction (50 minutes) – This makes the best fit for the active chattery mind. It will bring the noise in your mind to a halt and get you to gently fall asleep. Listen using speakers with a suitable volume and keep your eyes closed. • Hypnotic Sleep Induction With Suggestions (50 minutes) – This session uses deep hypnosis known to induce sleep and deep rest by listening through. It uses 3D effects and voice suggestions. Just listen without paying too much attention to the suggestions and you’ll be good to go. • Hypnotic Sleep Induction With Affirmations (50 minutes) – This session also uses hypnosis meant to give you a different perspective of yourself. I personally call it “cheating your way to sleep” technique. It gives strong affirmations that will change your mind completely. • All Night Sleep Loop (90 minutes) – This is the best for the guys who live in a noisy neighborhood, those with sleep apnea or those who often wake up at night. Uses brown noise and you can play on repeat. It should take about 5 repeats to get you comfortable sleep throughout the night. • All Night Sleep Loop Sleep CD Version (80 minutes) – If you have a CD player, this session will work best for you. It is the same as the first All Night Sleep Loop, and is basically made for those who may not have an mp3 player but have a cd player beside their bed. • Sleep Loop for Pain Management & Healing (20 minutes) – You can also play this on repeat. It is made for people who suffer from chronic pain and need deep sleep but can’t get it. A good example is fibromyalgia patients. Listen to it with your eyes closed and without headphones. You only pay $37 for all the sessions in the program. Also, you get 3 free bonus download gifts namely, the sleep salon user guide, Wake Up With Energy mp3 audio, and Overcome Insomnia hypnosis track (45 minutes) if you buy today. The two bonus tracks are really helpful and you’ll get very effective results. You’ll love them. You also get a 30 days money back guarantee where you are allowed to take the system back if you are not satisfied with it. Do note that you are highly advised to buy the program from the main website (www.sleepsalon.com) since there are many poor quality duplicate and replicate content out there using the same name. So I went hunting for people’s experience with the product and I knew that people would give good feedback on it. And as fate would have it, that is what I found. Also, I found out that the support system of sleep salon were very prompt to reply and offer helpful advice. Personally, I have come to love inspire 3 products. The creator, Karl Moore, and his partners are very freindly and they produce high quality products. First, look at what people are saying about it. Some people used it with Brain Salon, and others brainev, these are other great brainwave programs I highly reccommend. Now look at this customer who made complaints that he had issues with downloading the system. See what she got as a reply a short while after. That is why I am telling you I love these guys. Based on my extensive research, this is the only program that has put in a lot of effort and quality into helping folks get good quality comfortable sleep. They are also the ones with the fairest prices considering all the resources you are getting. That is why I call them awesome. I’m sure you have seen the effort yourself, but wait until you hear the quality of these tracks, you will just take your hats off to the creators. I don’t mean to exaggerate, it’s the truth. I believe you will also find it helpful. And that marks the end of this review. Got any questions or comments you want to leave on this post? I’d be happy to respond. Drop them in the comments below. Am not sure how you play these tapes. Will I need to buy a CD player? 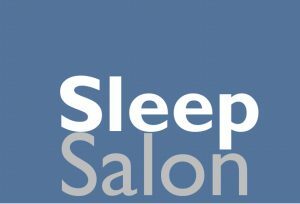 Sleep salon comes in the form of tracks that you download to your device and listen to as you sleep. You don’t need to have a CD player. But I do recommend you get a high quality speaker if you will be listening to the tracks on loud speaker.